Below are the accepted entries for Durham Regatta. There are a few things that have affected the way we have entered crews. It seems that Durham have decided to make the event more elitist and in the 25 years I’ve raced there these are the biggest changes and in the next few years demand to race there will be as such that you will have to qualify crews just to race there. As both a coach and a member of the club I have been impressed by the way the club has treated races and been as successful across all squads this season in every event. It seems like the club expects to win at least 12 events per regatta which has given us the Victor Lodorum at every event (aside one) that we have attended this summer. 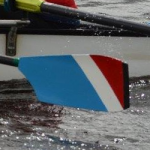 In relation to this the club raced at Hexham regatta on Saturday coming home with 13 wins. The club reinforced its reputation as the best sculling club in the NE with only one defeat in all of the singles we entered. The boys j15 4x+ were only a foot away from victory over a crew that was formed to beat our boys and with that sole objective in mind, our boys are getting faster. Roman Bowery was dominant in all of the 11 races he had winning the 4x 2x and 1x convincingly. Dan Middleton was forced to rerow his single winning second time round and Eve Larsen won in typically straightforward fashion Caitlin Warren too. Thomas Dowson and Dean Slater won their double easily and Thomas as well in the 1x. The men’s 4x+ also won again this season as did the men’s masters 4x- steered by Peter Harrison who promptly ran off to attend his daughters 21st. The wj154x+ also won convincingly also. Congratulations to all crews who raced and competed. The session at Hermitage tonight will be a 30 minute ergo for the boys. We are organising a regatta for j13 kids and below on September 23rd with clubs coming from around the North East who are interested in competing as we have little opportunity to test the younger ones through the season. Please let me know if you are interested in taking part either your child racing or you helping in any way. More details to follow. The Rod Stewart concert takes place on Friday night and we are having a barbecue at the club as many of you know, please let Kay Hall know if you would like to come. Either email me or contact her directly. If any parent is interested in helping out at sessions either to become a coach or to help in any way, please email me or speak when I see you.